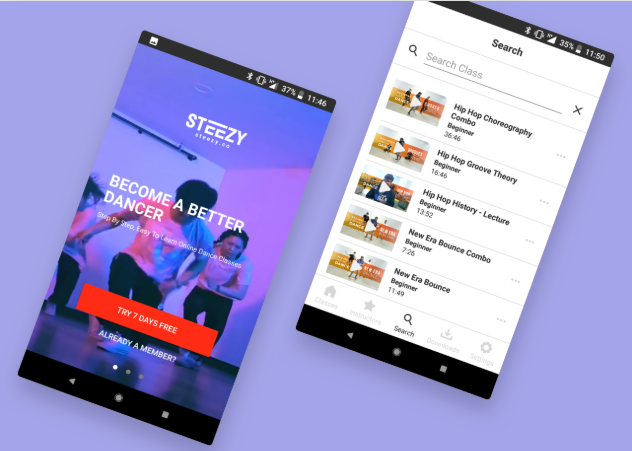 Steezy is a LA-based e-learning platform for dancers. The team was striving to become a universal tool for a dance community to learn new moves from the world-known professionals anywhere and anytime. With no personal contact possible, the company was still aiming to make the experience full and realistic, so that all techniques and instructions were clear. devabit team created versions for web, Android and iOS to make the platform accessible for everyone. We provided lessons with a 360° view. This option allows dancers to see every single detail both in front and back. We also enabled the service with online community space where users can get feedback and track their progress.